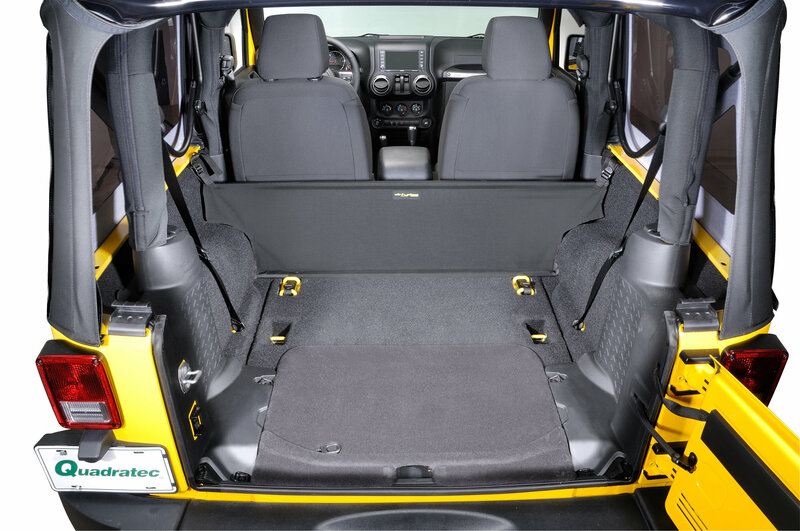 This is great for JK owners who hate losing things down that bottomless pit between the rear seat and back cargo when the seats are down. This is perfect for dog owners, campers who sleep in the back after a day of wheeling or anyone who doesn't like the unfinished look when the seats are down. The Dirtydog 4x4 Trench Cover does not require any special tools to install and is made using the matching carpet. They flip up and down when the seat are moved up and down.